David Vickery joined Industrial Light & Magic’s London studio in 2015 as a Visual Effects Supervisor. In addition to supervising effects work, Vickery also initially provided creative oversight for the studio’s projects, while studio Creative Director, Ben Morris, took on Star Wars: The Last Jedi as Production Visual Effects Supervisor. Vickery teamed with Producer Colin Trevorrow and Director J.A. 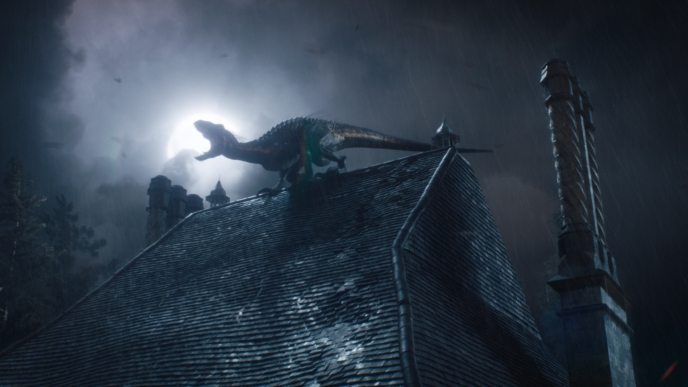 Bayona on Jurassic World: Fallen Kingdom (2018) on which he served as the production’s overall Visual Effects Supervisor. Prior to joining ILM, Vickery served as the Production Visual Effects Supervisor on Mission: Impossible – Rogue Nation, which opened July 31st. He is well known for his work as a Visual Effects Supervisor on films such as Sherlock Holmes, Harry Potter and the Deathly Hallows: Parts 1 and 2, Fast & Furious 6 and Jupiter Ascending. His work has been recognized with an Academy Award® nomination and the 2012 BAFTA Award for Special Visual Effects for Harry Potter and the Deathly Hallows Part 2 in addition to numerous Visual Effects Society Award nominations and wins. Vickery joins ILM having spent the past thirteen years at London effects house Double Negative where he worked his way up from CG Artist to Lead 3D artist then CG Supervisor on such films as Harry Potter and the Order of the Phoenix, The Bourne Ultimatum, Cloverfield and The Dark Knight. Having strong ties to the visual effects community in London, Vickery formerly sat as Co-Chair on the UK board of the Visual Effects Society and is a member of AMPAS and BAFTA. After completing a Degree in Industrial Design at De-Montfort University Vickery went on to receive an MA in Digital Moving Image from London Metropolitan University.